I have found K Cups to be incredibly powerful tools in ALL areas of my math program. The hands-on component and real life problem solving that has transpired have proved to be a game changer in making math relevant, engaging and real. Feel free to download and adapt all lessons, both as PDFs and SMART Notebook files. Please SHARE! Idea– Students work against the clock to use K Cups to think “outside the box” to demonstrate their math understanding! A GREAT, fun, interactive way to review and reinforce math learning! Idea– Have students compete to stack K Cups in a single and double stack. 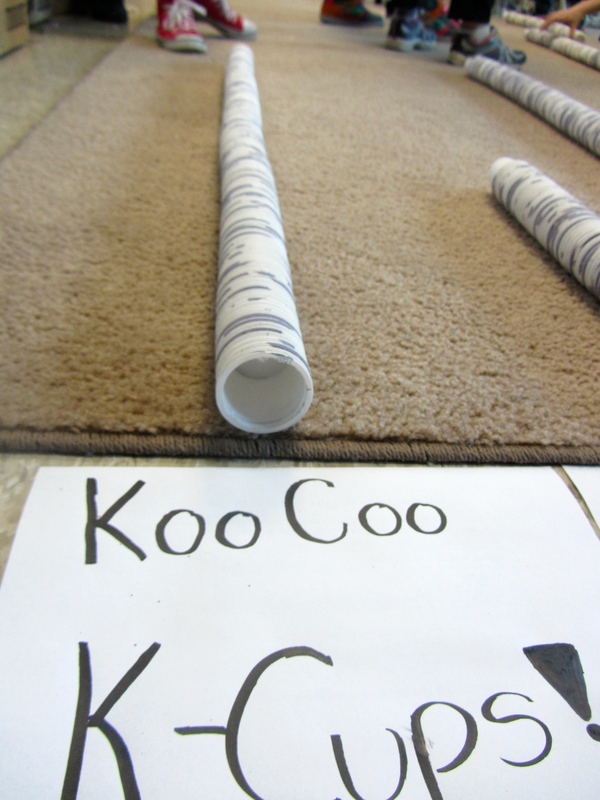 Idea– Students use K Cups to build a rectangular prism given the volume and two dimensions. A warm activity that reviews many measurement concepts included. Idea– Students build a rectangular prism, working incrementally, starting with the perimeter and adding from there! Idea– After students collect a number of K Cup it’s time to use team work and clean them, by removing the grounds, filters and foil (we reuse, compost or recycle each part). There is a ton of math that comes out of this activity!